Anyone can promise results. Burg Simpson can deliver. Consistent, successful results tell you everything you need to know about what Burg Simpson can do for you. But don’t just take our word for it. You can hear from some of our happy clients here. 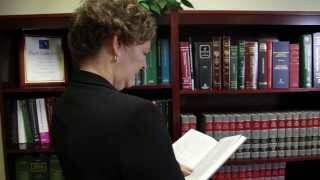 An effective law firm can show you a list of what they have accomplished and we can. We are one of the country’s most recognized law firms, and we have earned several accolades for our legal work from our satisfied clients, our colleagues in the field, and our own community. You can see for yourself here. 3. RESULTS SET US APART FROM THE COMPETITION. Denver is home to more than 700 law firms. That is a lot of choices for you and a lot of competition to choose from. Our competitors know what Burg’s Simpson’s lawyers have accomplished. You should, too. This is why you should choose Burg Simpson. 4. EXPECT MORE FROM YOUR ATTORNEY. You will not get far in negotiations or mediation talks, if opposing counsel does not respect your attorney. You need a lawyer that will not only provide competent counsel, but who will also be able operate from a position of strength. 5. MAKE THE MOST OF YOUR CASE. Most of the time, you only get one chance at justice. But you will have an entire lifetime to live with the results – for better or worse. So look for legal counsel that will make the most of what could be your only shot at compensation. Do not settle for someone who just wants to settle. 6. YOU NEED POWER IN YOUR CORNER. The more power on your side, the better. Standing between you and fair compensation all too often is a powerful corporation or insurance company that has deep pockets, extensive connections, and a team of their own skilled lawyers whose only job is to keep you from getting what you deserve. We have the resources and the experience to take on these long odds and win. 7. DON’T UNDERESTIMATE THE COMPETITION. The other side is frequently operating from a much stronger position than you think. Even if they are not, they will act as if they are. You need representation on your side who will not be bullied and can level the playing field. 8. LEGAL SUCCESS IS NO ACCIDENT. Let us help you put the odds back in your favor. Not all lawyers and law firms are the same. We have spent more than 40 years putting together a track record of success. That does not happen without a lot of talent and hard work. Overall, we have managed to secure more than $1 billion in verdicts, settlements, and judgments for our clients. 9. POWER TAKES YEARS TO CREATE. You don’t build a powerful firm or train exceptional attorneys in just a few years. It has taken us more than 40 years to make Burg Simpson what it is today. Clients can rest assured that they are working with a trial law firm that has a wealth of experience on their side. 10. EVERYTHING COSTS MORE THAN YOU EXPECT. Your recovery will dictate your options going forward. Money never goes as far as you think it will. It is important to look beyond any initial settlement, no matter how enticing it might be. You need expert medical and legal evaluations of your damages, your condition, and what your recovery will entail. Do not shortchange you or your family. Get as much legal power in your corner as you can — it can make all the difference. 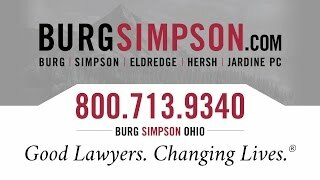 Burg Simpson has thousands of verdicts, settlements, and judgments. For more information, please call us at 303-792-5595 or fill out a Free Case Evaluation here so we can contact you directly. Past results are not a guarantee of results in future matters.